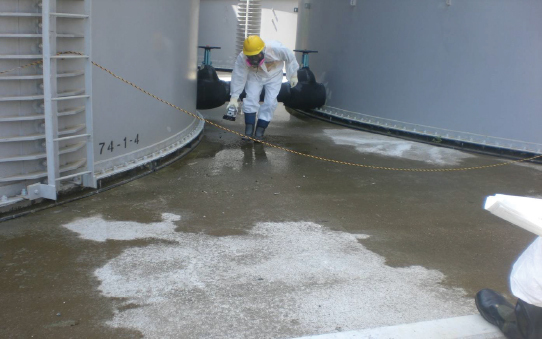 Green Mountains provides several types of industrial and commercial cleaning services to maintain septic tanks, grease traps and oil separators, ship tanks, storm water channels, lift stations for sewage, and others. Green Mountains is the trusted service provider for the majority of shopping malls and hypermarket outlets throughout Abu Dhabi. We also support a number of hospitals, accommodation camps, hotels, restaurants and commercial buildings. We dependably and professionally vacuum, pump, and transport liquid waste and sludge in a process that eliminates odors and safety problems. We also ensure that your facilities are maintained thoroughly and without trace of hardened deposits. Green mountains have the best tank cleaning services in Abu Dhabi. 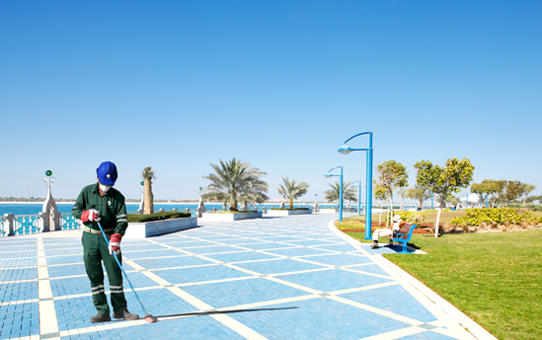 Let us take care of all your non-core business activities, including your facility management requirements such as grounds maintenance, landscaping, upkeep, waste collection and recycling. We help add to the quality of life at buildings and industrial complexes. 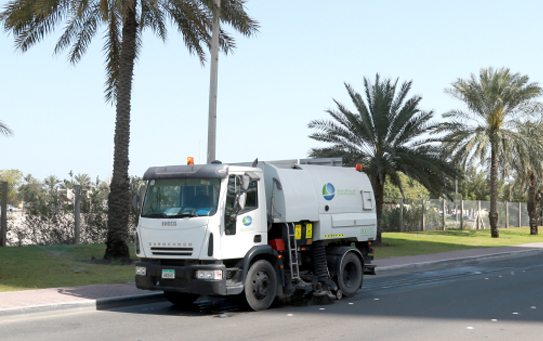 We provide modern vehicles for vacuum road sweeping as well as manual cleaning and litter picking along foot and curb sides.